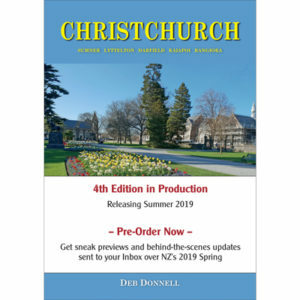 Responders gives the readers a unique, behind-the-scenes look into Christchurch Earthquake’s Search, Rescue and Recovery. 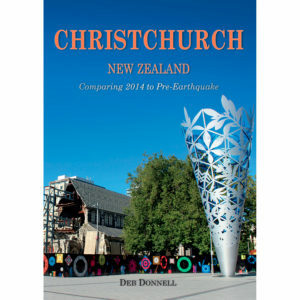 It focuses on the contribution of the New Zealand volunteer response teams in the days and weeks that followed the Christchurch Earthquakes. 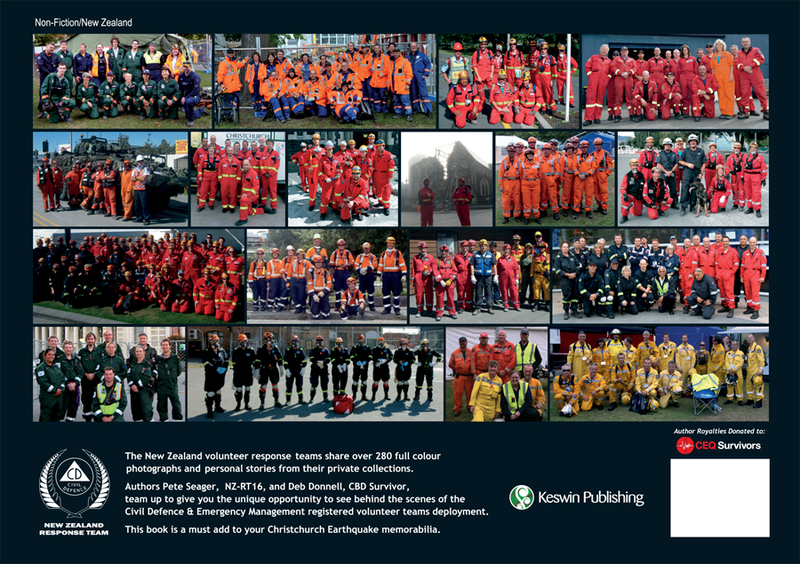 Twenty-two teams of over 300 trained light rescue volunteers came from all over New Zealand to assist a city in shock. 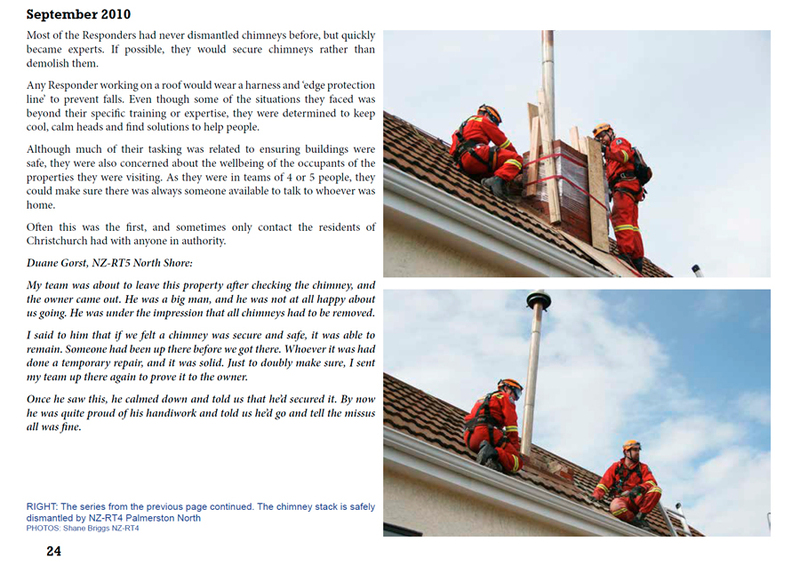 They have contributed their private photographs and personal accounts of their deployments. 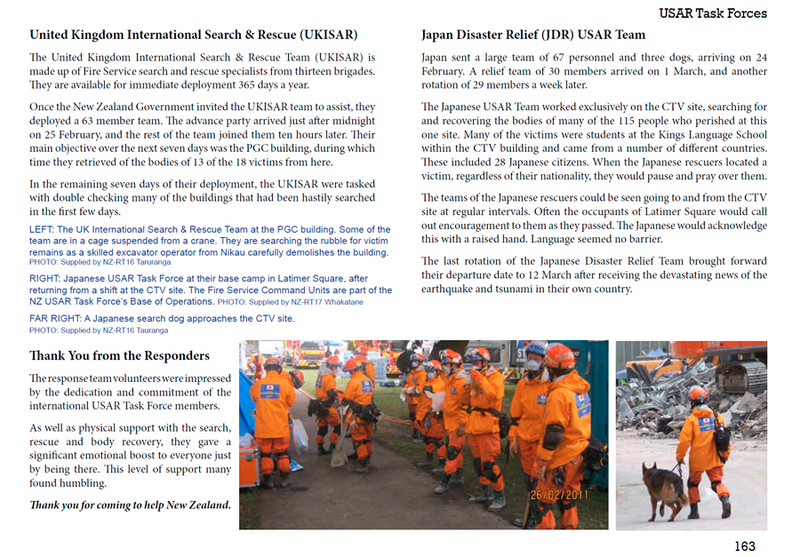 They assisted the 111 Emergency Services and USAR Task Forces after the September 2010 Darfield Earthquake. 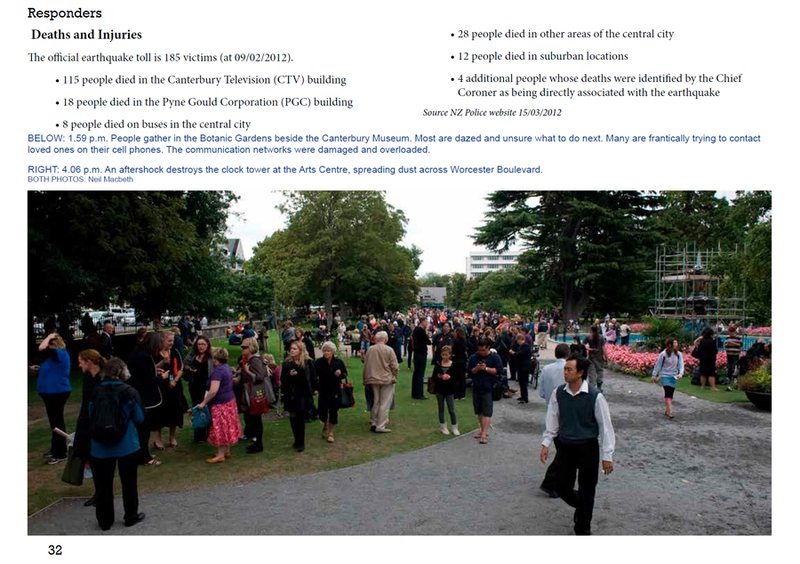 They returned again after the more devastating 22 February 2011 Christchurch Earthquake. Pete Seager is a responder from NZ-RT16 Tauranga and works as a Team Leader for the X-Ray Department at Tauranga Hospital. 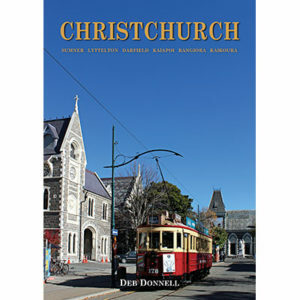 Deb Donnell, independent publisher, is a survivor from the Christchurch CBD. 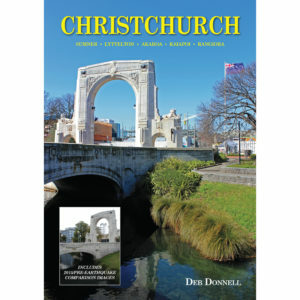 She grew up in and worked in the central city for most of her life. 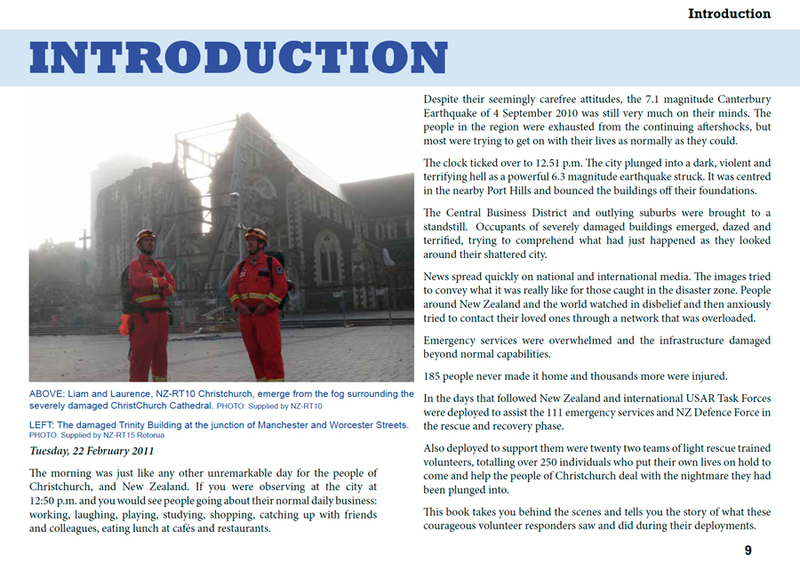 She made a vow after escaping to safety on 22 February 2011 to help the responders tell their story. 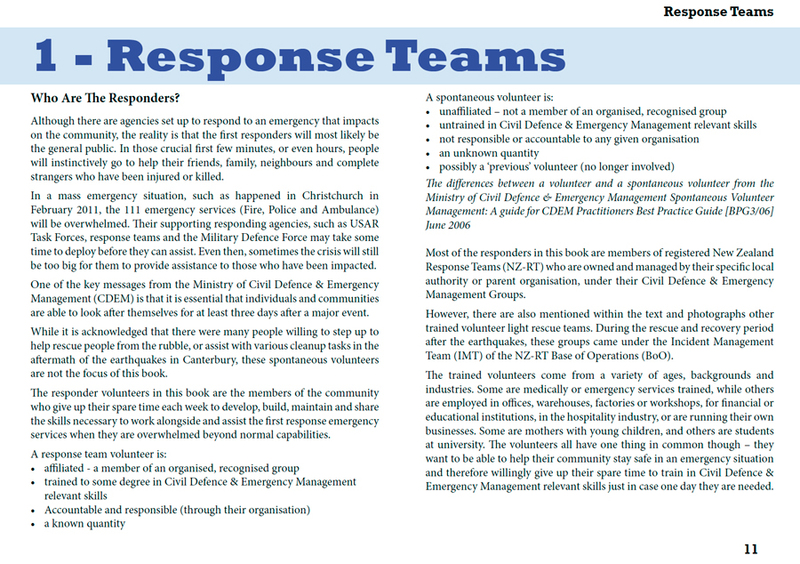 The response team volunteers are a mix of trained independent response teams and registered Ministry of Civil Defence and Emergency Management (CDEM) volunteer teams. 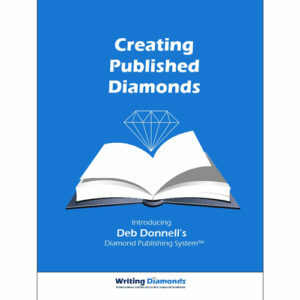 This book has been part of the healing journey for Pete, Deb and many of the volunteers involved. 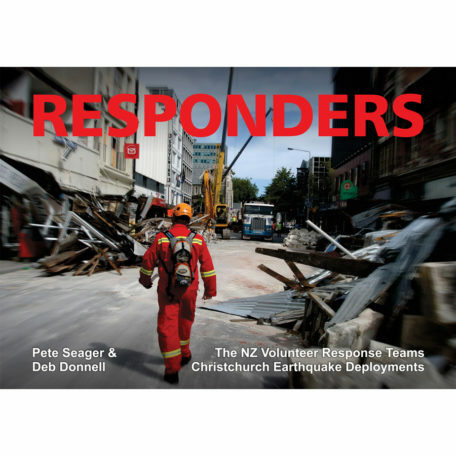 Responders is a must add to your Christchurch Earthquake memorabilia. This is a great record of how volunteers give up their time, leave their families and work, and then put themselves in potential harm to help other people.